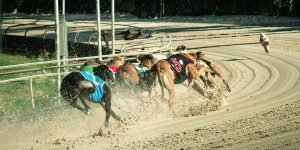 Check out the thrills, the experience and the excitement that is a night at the dogs at Curraheen Park Greyhound Stadium. It is perfect for corporate entertainment or anyone who fancies a flutter on the dogs. Since its opening in 2000, it has been established not only as one of Cork’s premier entertainment venues but as one of the finest greyhound stadiums in the world. It boasts excellent facilities combined with fun and food, as well as top-class racing ensuring you a brilliant experience.